Our Eat the World Challenge is hosted by Evelyne of CulturEatz. Each month she chooses a different Country to visit and invites us to join her in posting a recipe from said Country. We post on the 10th of each and every month. I really love this group and appreciate that Evelyne started it after I requested more information on a similar group to which she belonged that had ended. We have had a lot of fun this year and have thus far visited Cuba, Ireland, Thailand, Kenya, Sweden, New Zealand and France. This month we headed to Argentina. Every so often I get lucky in this blogging galaxy to which I belong and two worlds collide. Such is the case this month. 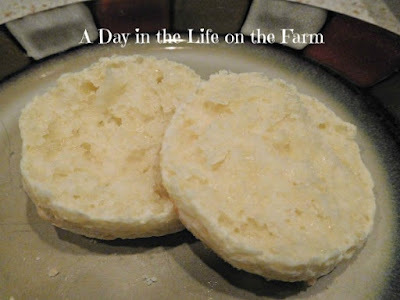 Baking Bloggers is a wonderful group started by Sue of Palatable Pastime. We once belonged to a group that shared cookie recipes each month. When that group ended, Sue invited those who wished to join her, to post a baking recipe on the second Monday of each month. Sue puts out a poll following each event and we vote on the next topic to be baked. Since the inception in November of last year we have baked Pies, Filled Cakes, Pate a Choux, Cheesecakes, Calzones, Cupcakes, Fruit Tarts, with Puffed Pastry, using a Small Kitchen Appliance and Brownies/Bars. This month September 10th is the second Monday of the month. We had voted to bake Biscuits/Scones. 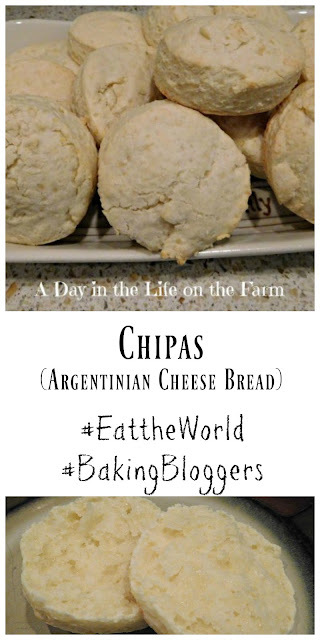 Knowing that I wanted to combine the themes I conducted a google search for popular breads in Argentina and was immediately gratified with a ton of recipes for Chipas. The images of Chipas showed numerous shapes and sizes. 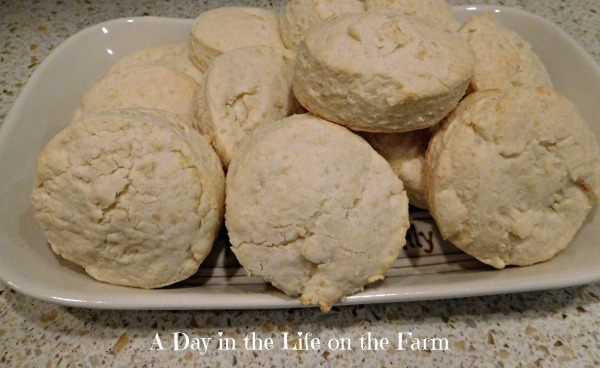 From dinner rolls, to bagels, to drop biscuits. 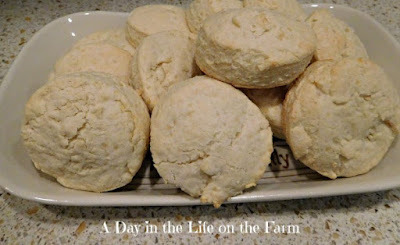 I decided to enlist the help of my favorite sous chef and make traditional biscuits using the Chipas dough. These biscuits were great as an accompaniment to the Mexican Beer Chili that I shared with you last Friday. I also enjoyed them for breakfast the next morning. They were good plain and they were also good stuffed with scrambled eggs. Before I share the recipe that I adapted for these yummy biscuits let's take a look at what the others in the groups are sharing today. Whisk together the egg, milk, cheese and butter in a large bowl. Using a wooden spoon, stir in the tapioca starch and flour until combined. Knead for a minute or so and then pat into a round about 1/2" thick and cut out 12 rounds using a biscuit cutter or the top of a glass. Re-form the dough into 1/2" rounds as needed, being careful to not overwork the dough. Place onto a baking pan that has been lined with a silicone mat or parchment paper and bake in a preheated 350* oven for 12-15 minutes. adapted from a recipe found on allrecipes submitted by Arthropod. LOVE the photo of Angel Face helping with the biscuits. Good job!! I can't wait to try these, Wendy. Thanks for sharing. What a great idea to make the Argentinian cheese bread in the shape of biscuits! They do look crumbly and delicious either for savory or with some jam for breakfast. They are perfect either way Nicoletta. Your biscuits look delicious, and I'm really interested in the challenge of finding Argentine food. This is a good place to start Mae. 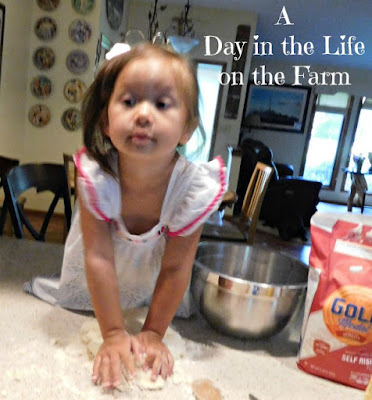 Looks like your little sous chef totally got into it! Literally. Biscuits are tricky to get just right, but you nailed it. So cool love it when to groups collide, and I so appreciate being in mine too <3 Wow love cheese so these biscuits sound awesome! It's so nice when both worlds collide isn't it? These sound delicious. It sure is. Thanks Karen. oooh- I can imagine this as the BEST egg sandwich vehicle! Yum! I have to go buy some self-rising flour now! You can always combine flour and baking powder too. I just happened to have some self rising on hand. A cute sous chef making these lovely cheese biscuits, they look too good Wendy! Thanks Sneha. Yours looked amazing too. Never heard of these, and now I need to go buy some Tapioca starch so I can try my hand at them. Looks like you and Sneha had one of those 'great minds' moments. It appears so Sid, I'm in good company with Sneha. Yumm, cheese and biscuits are a wonderful pairing. I'm sure the tapioca starch must make them extra light. They look fantastic. It was my first time working with tapioca starch. I was pleased with the results. I love that you made the chipas into biscuits! Such a wonderful way to bring together the two groups!